Because (unlike yourself) walls don't like to be naked. 1. A wall mirror so cute you'll hardly be able to face it. Get it from Urban Outfitters for $80. 2. A stunning ceramic planter for making your walls as green as your thumb. 3. An abstract print so swanky it's gonna make your IKEA furniture look bougie AF. Get it from Marble Art Co. on Etsy for $11+ (available in multiple sizes, with or without frame). 4. A welcoming neon sign to remind you of your boyfriend, always lighting up after you've turned off the lights. Get it from Houzz for $162.99. 5. A silver jewelry display from the Manzanita shrub that's sure to help your unique style branch out. 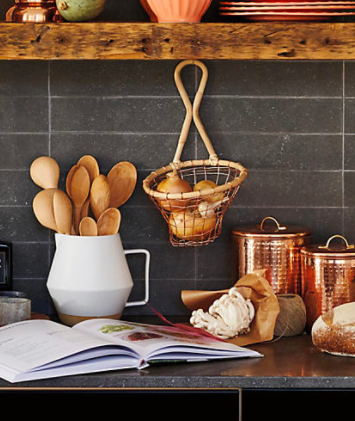 Get it from West Elm for $69. 6. A cloud toilet paper holder — it just may make your bathroom the favorite room of the house. Get it from Uncommon Goods for $115+ (available in two sizes). 7. A periodic table of NYC trash, because how often will people tell you it's the coolest poster they've ever seen? Um, periodically. Get it from Young Blanks for $40. 8. A macrame plant hanger that definitely won't succ. 9. 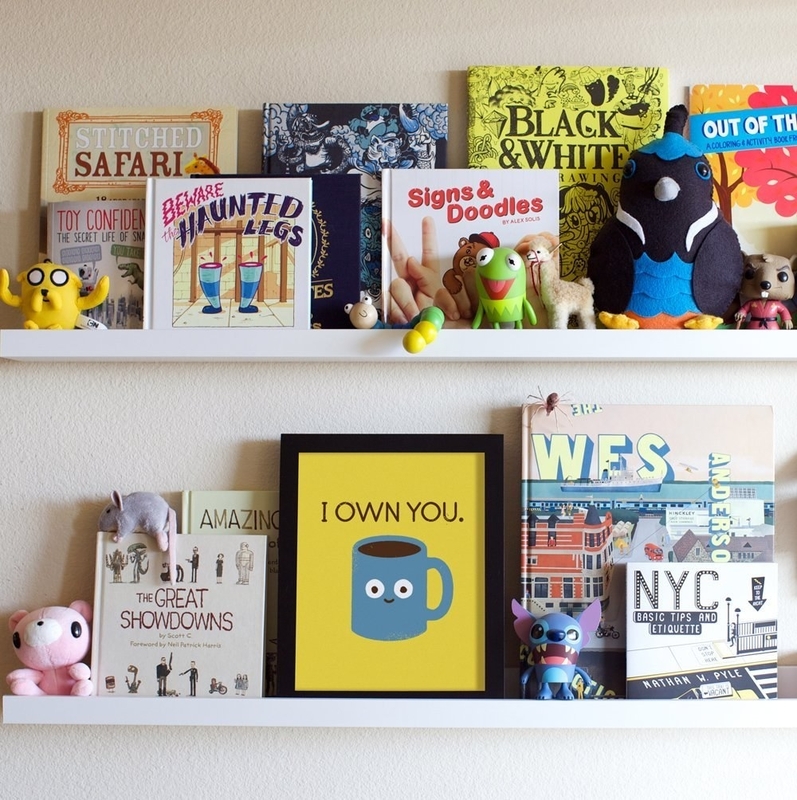 A network of shelves you can use to show off your trophies and treasures. Get them from The Land of Nod for $199. 10. A lovely print designed for people who need such practical life advice. Get it from Pivot Handmade on Etsy for $14+ (available in multiple sizes). 11. 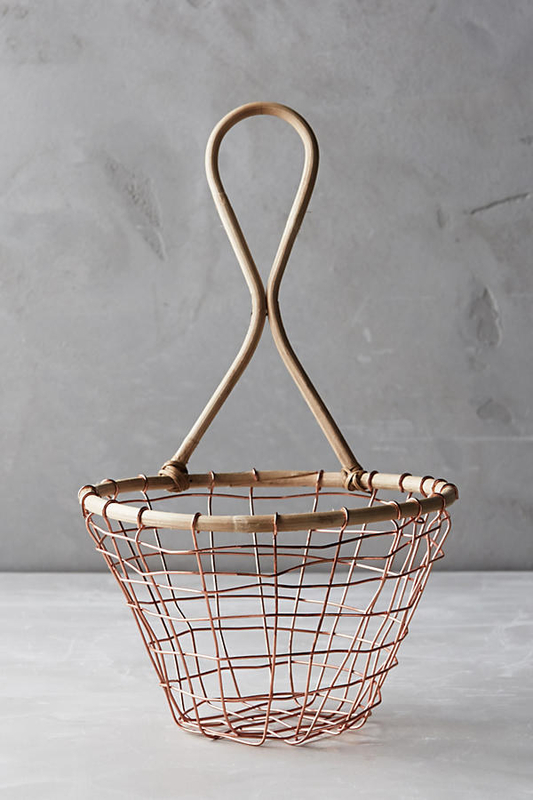 An elegant hanging basket that's gonna be a hella chic way to store produce you know would otherwise die in the vegetable box. Get it from Anthropologie for $12+ (available in two sizes). 12. A poster that'll be the perfect treat for anyone who loves The Grand Budapest Hotel. Get it from FireBox for $26.69+ (available in multiple sizes, with or without frame). 13. An abstract clock so gorgeous you're sure to give it a hand. Get it from Uncommon Goods for $80. 14. 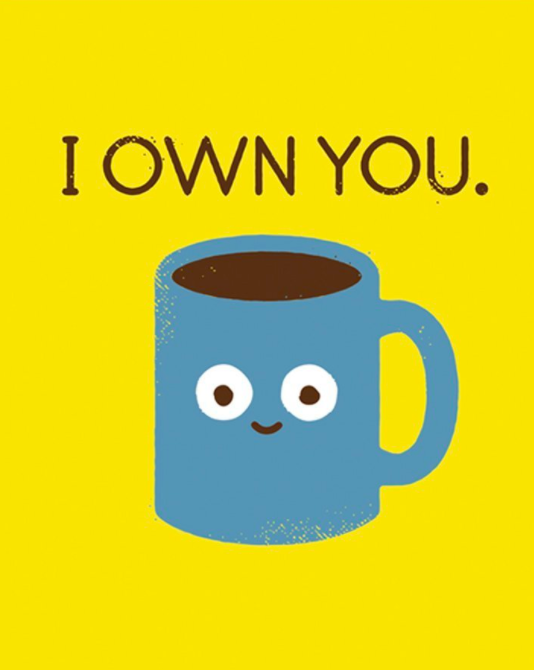 A coffee mug print that'll tell it like it is. 15. A unique growth chart for your baby snowboarder. Get it from The Land of Nod for $79. 16. A cork board map to inspire you to travel the world, or look at a map of the world from the comfort of your couch. Get it from FireBox for $22.69. 17. A poster of Rapper's Delight that's gonna bump up the beat in any room. Get it from Urban Outfitters for $19+ (available in multiple sizes and frames). 18. A scratch-off movie poster for the person in your life who spent the first five years of their adulthood thinking they were cool for not owning a TV. 19. A felted (not dead) animal head that'll be the rustic-meets-cutie-chic piece your walls have been wanting. Get it from Sundance for $38 (available in eight animals). 20. A sleek and stunning wall sconce sure to light up any room. Get it from Urban Outfitters for $12 (available in two colors). 21. A set of wall stickers that'll help you reflect on what matters most (how your hair is looking). This pack of wall stickers beautifully reflects light to create a shimmering effect in your home. They are not intended to replace actual mirrors. 22. A woven wall hanging to add a classic geometric pattern in the neutral decor your roommates adore. Get it from Target for $28.49. 23. A cactus canvas in a gold frame for the friend you really love but who is also a real prick. Get it from World Market for $129.99. 24. 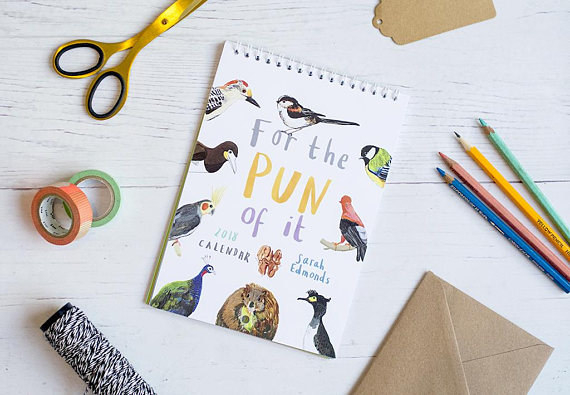 A punny calendar made specifically for giving to people who can't not dad joke. Get it from Sarah Edmonds Illustration on Etsy for $16.58. 25. A set of crazy realistic faux plants to make you look like a plantie guru without ever having to water a leaf. Get them from Amazon for $42.99. 26. A macrame wall hanging that you'll totally tell people you made yourself. 27. A hot mess of a clock for people who really can't keep time and don't intend on trying. Get it from Amazon for $14.90. 28. A wild flower tapestry to keep your walls rosy and cozy all winter long. Get it from shealeenlouise on Society6 for $43.99+ (available in sizes S-L). 29. A stunning quote print so you can be reminded by Arcade Fire to get ready for the day. Get it from The Quote House on Etsy for $17+ (available in multiple sizes). 30. And a clock sure to please anyone who doesn't want you to eff with their alone time. Get it from smuug on Society6 for $30.99 (available in three colors).